“This new insight may force us to rethink the whole cosmological context of how galaxies burn out early on and evolve into local elliptical-shaped galaxies," said study leader Sune Toft of the Dark Cosmology Center at the Niels Bohr Institute, University of Copenhagen, Denmark. “Perhaps we have been blind to the fact that early 'dead' galaxies could in fact be disks, simply because we haven't been able to resolve them." This is a surprise because elliptical galaxies contain older stars, while spiral galaxies typically contain younger blue stars. 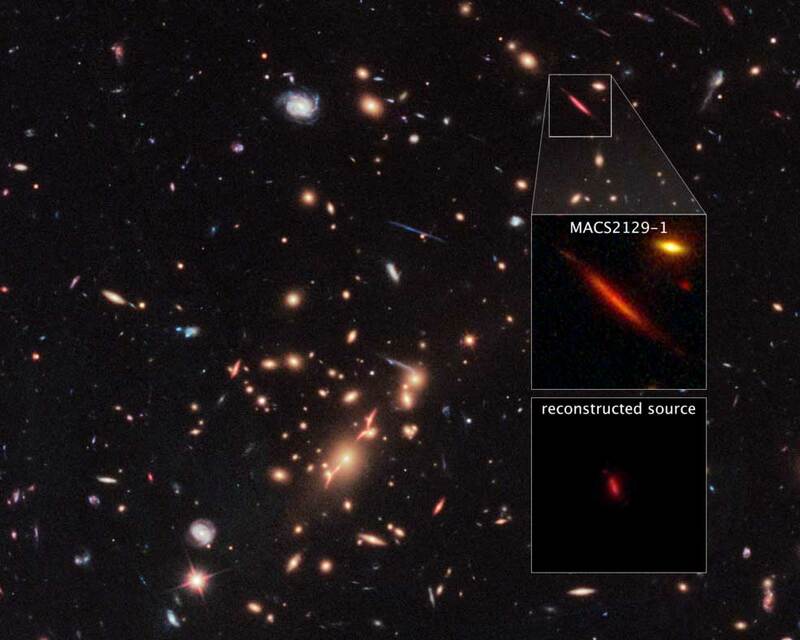 At least some of these early “dead” disk galaxies must have gone through major makeovers. They not only changed their structure, but also the motions of their stars to make a shape of an elliptical galaxy." The findings [http://rdcu.be/tCml] are published in the June 22 issue of the journal Nature [https://www.nature.com]. Toft and his team hope to use NASA's upcoming James Webb Space Telescope to look for a larger sample of such galaxies.